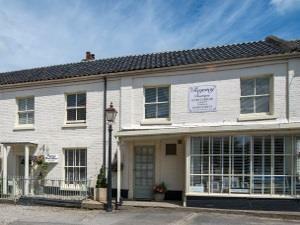 Regency Guest House01692 630233work Guest AccommodationWe offer comfort and value in a peaceful village setting. Only ten miles from Norwich city centre, and a short drive from Horning, Wroxham and Bewilderwood Adventure Park. Each room has Flat-screen, digital T.V. Hair dryer, Tea/coffee facilities, central heating and bathroom toiletries, free Wi-Fi. A full English or continental breakfast, with homemade marmalade and preserves. We use locally sourced fresh products for our breakfasts and free range eggs from our local farm in Neatishead. Pet friendly. We are still privileged to have a village pub where lunch and evening meals are served, and free public mooring 5 mins walk from the Guest House. We offer comfort and value in a peaceful village setting. Only ten miles from Norwich city centre, and a short drive from Horning, Wroxham and Bewilderwood Adventure Park. Each room has Flat-screen, digital T.V. Hair dryer, Tea/coffee facilities, central heating and bathroom toiletries, free Wi-Fi. A full English or continental breakfast, with homemade marmalade and preserves.